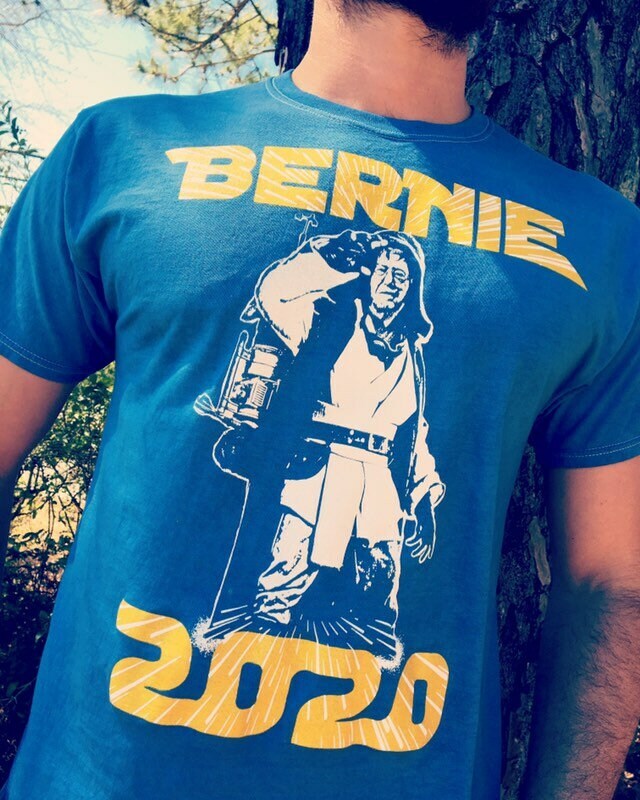 *We are giving 20% of each sale to Bernie’s campaign. *We design and print all of our own shirts! *Shirt color is a faded blue with white and yellow print. 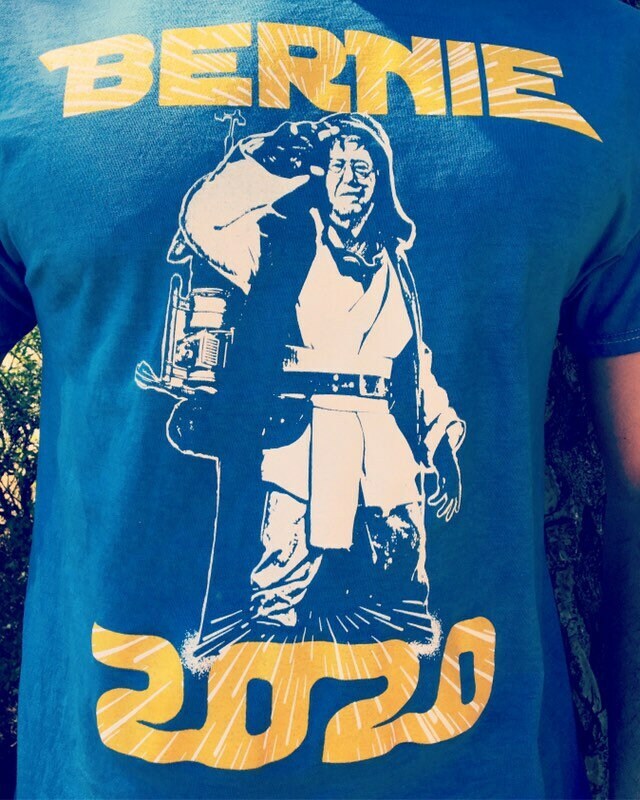 Progressive clothing for progressive people!